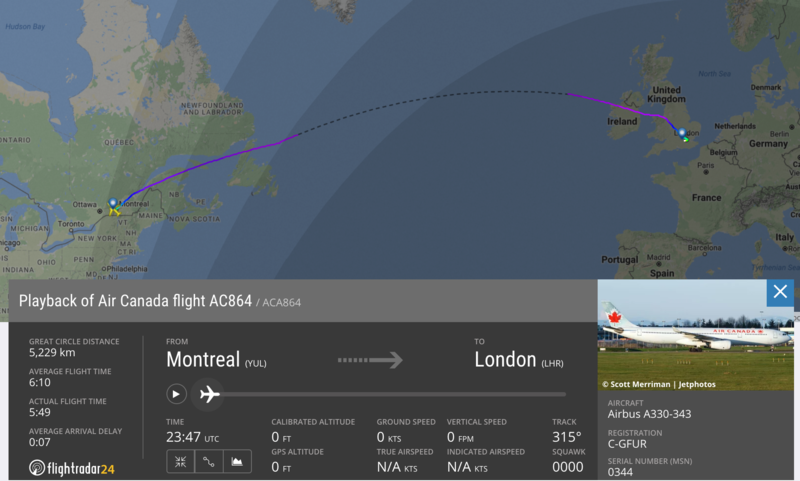 The Air Canada flight from Montreal lost its wheel down the runway before take-off but the pilot is believed to have continued with the flight without noticing. The plane an Airbus A330 then arrived at Heathrow with one of the rear tyres missing but somehow managed to land without any complications. An Air Canada spokesman said the wheel is believed to have fallen off the bearing on the runway in Montreal. The plane is now grounded at Heathrow while it is inspected and repaired. A spokesman for Air Canada told “Preliminary information indicates that a wheel separated from the aircraft while taxiing down the runway before take-off in Montreal and came to rest beside the runway. “As the landing gear is comprised of 8 wheels, this had no impact on the safe operation of the flight. “Flight AC864 an A330 with 294 passengers on board landed normally in London and taxied to the gate.